Balanced Microphone Lead or Patch Cable. XLR to 1/4" Jack Plug. Replacement lead for coomber 1918 Microphone. Balanced (TRS = Tip Ring Sleeve(3 Pole) 1/4" 6.35mm Jack Plug to XLR Female socket. 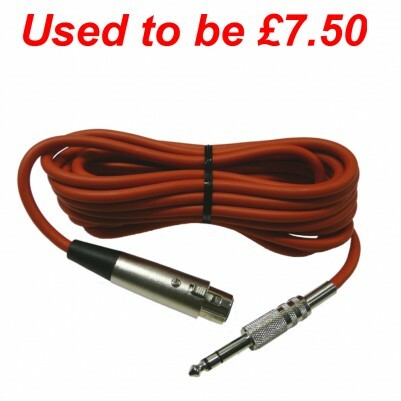 Microphone and Instrument Cable is low capacitance balanced audio cable for use with wide range of microphones and other balanced input or output devices. Its tight construction and dual screens of conductive thermoplastic and close lapped copper ensure noise free handling and excellent noise rejection making this cable ideal for on stage use.